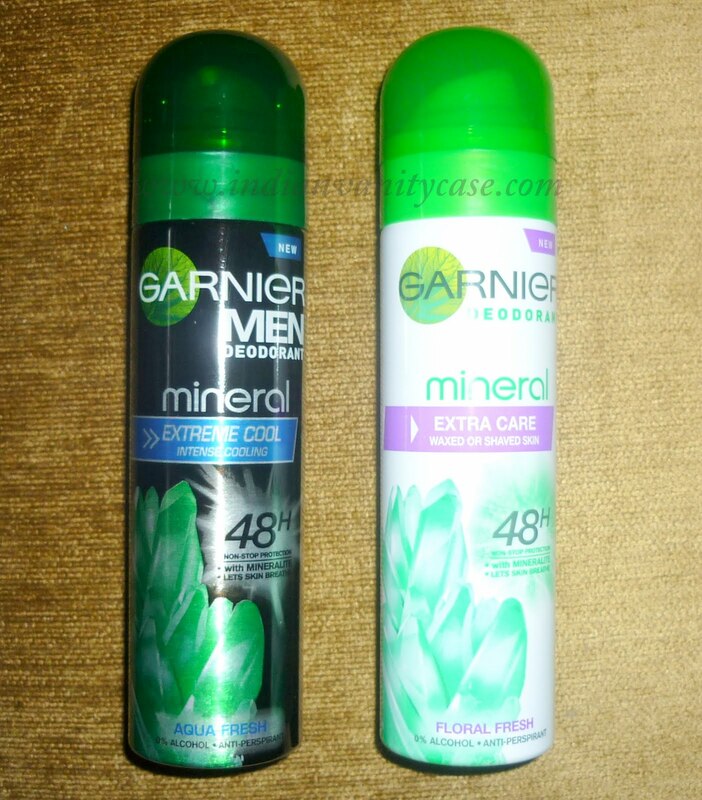 Garnier Mineral Deodorant is a 48hr anti-perspirant with Mineralite, a naturally absorbent mineral of volcanic origin. It lets skin breathe and is quick-dry and soft to the touch. Enriched with Perlite which has 5x the absorbing power of talc. 0% Alcohol (ethyl alcohol) and dermatologically tested. First things first, it smells good. The fragrance is very similar to some Fa deos, very oceanic or as it says in the bottle ~ Aqua Fresh. It is cooling, but you feel the coolness only briefly when you've just sprayed it on. Hubby complains that it makes his underarms feel "too dry" =D but that's the whole purpose of a deo, isn't it? But what can I say?! He's an Axe loyalist.. This is meant for waxed or shaved skin. I used it right after shaving my underarms and it didn't sting at all. Has a pleasant mild floral fragrance, which doesn't linger for too long though. But I guess the milder the fragrance, the better it is for sensitized skin. It does keep underarms dry and feeling fresh all day. Round up: Both worth a try. Especially if you're living in a humid city, like Delhi is right now. Extreme Cool ~ Designed to give an instant cooling sensation with 48hr protection. Has an aromatic fragrance. Absolute Dry ~ For ultimate 48hr protection under extreme conditions. Has a powder fresh fragrance. The review came at the right time.I feel inclined to try it out since you have mentioned in your review that it does not sting.